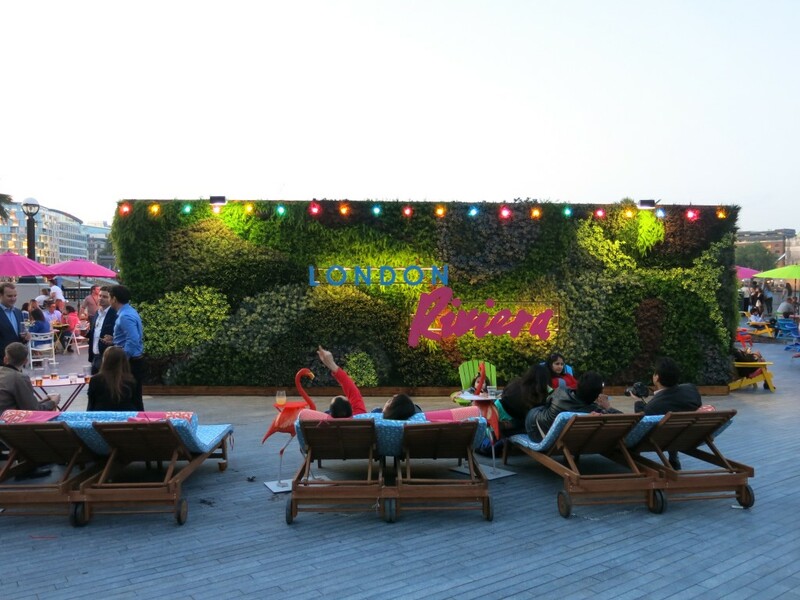 I was recently invited to a bloggers event at the newly opened Ceru Pop-Up at More Place by Tower Bridge. The lovely Patricia had organised the evening to introduce us to Executive Chef Tom Kime and showcase food of the Levantine, with a few cocktails thrown in for good measure. 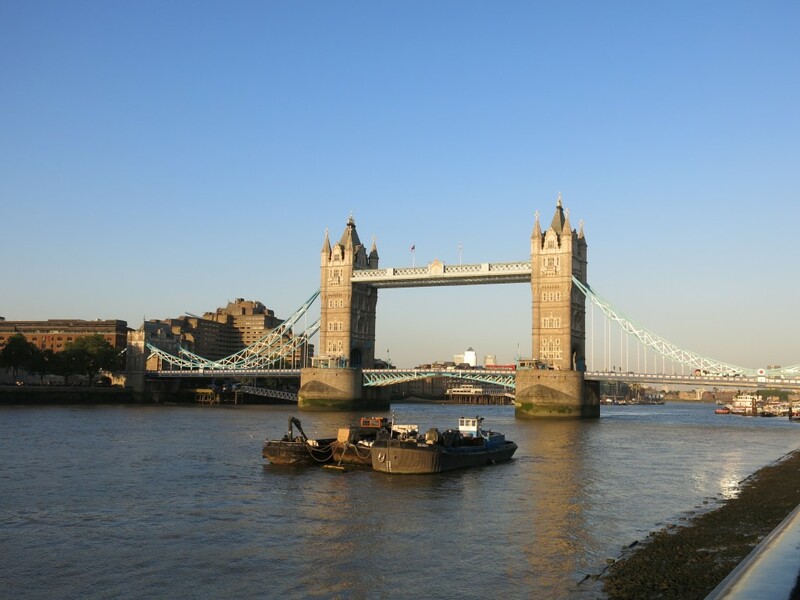 It was a beautiful summers evening as I walked across London Bridge and down alongside the Thames. 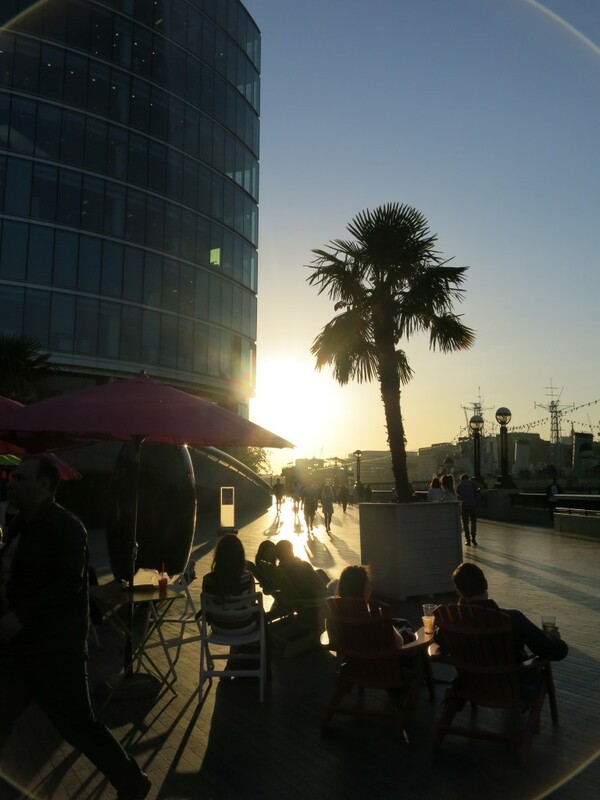 As you walk towards London Riviera you see bright parasols, sun beds and pink flamingos, a great contrast to the surrounding buildings. We were welcomed with the first cocktail of the evening, a Southbank Summer Breeze (Gin, Sweet Vermouth, Orange, Raspberry, Blackberry, Lemon) whilst Tom came round to explain the food and concept of Ceru. It was so clear how passionate Tom is about good quality food and the importance of bringing people together with food. 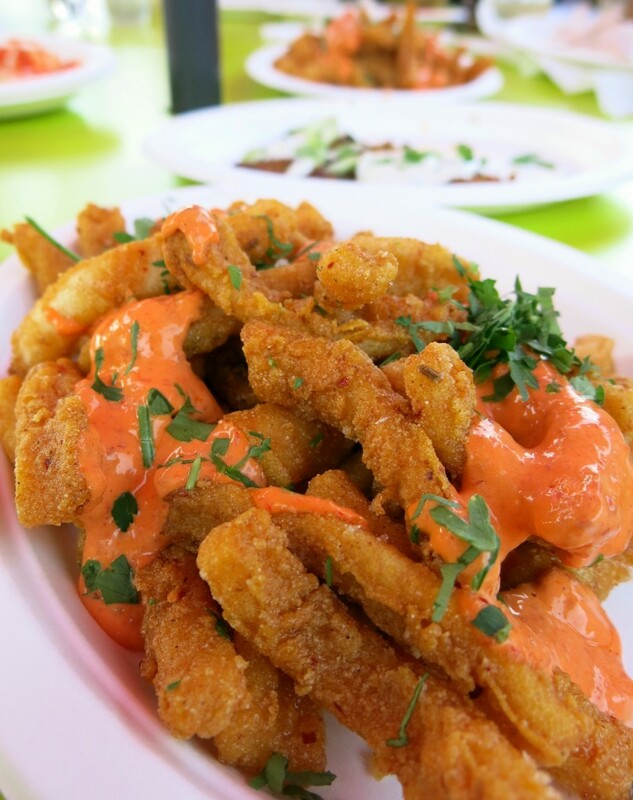 Ceru serves Levantine cuisine – east Mediterranean food. The menu is inspired from Toms travels in the region. He wanted to de-politicise food: food without boarders. 95% of the menu is gluten free which means its a great option for many different diets, it’s easy and fun food to share. Tom wants to showcase how bright and flavourful vegetarian dishes can be. The first of many dishes were served – freshly baked Greek pita bread with a trio of dips. 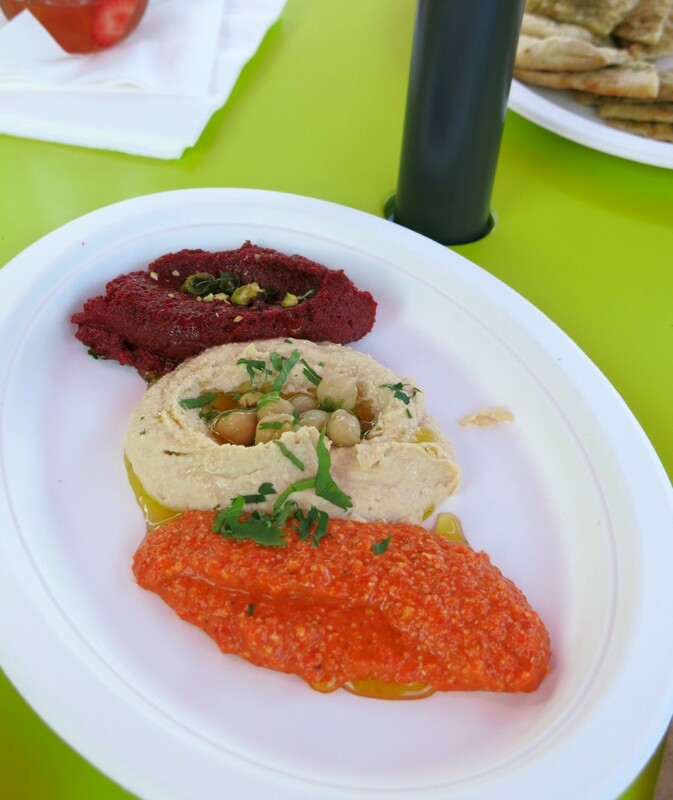 There was the classic houmous, Pancar (beetroot, yogurt, pistachio nuts) and my favourite of the three a roasted red pepper dip with toasted walnuts and pomegranate. The beetroot was sweet against the tangy spice of the pepper dip. Tom explained that each mouthful should encompass hot, sweet, salt and sour which you can see in all the food. The dishes all compliment each other so you can mix and match easily. 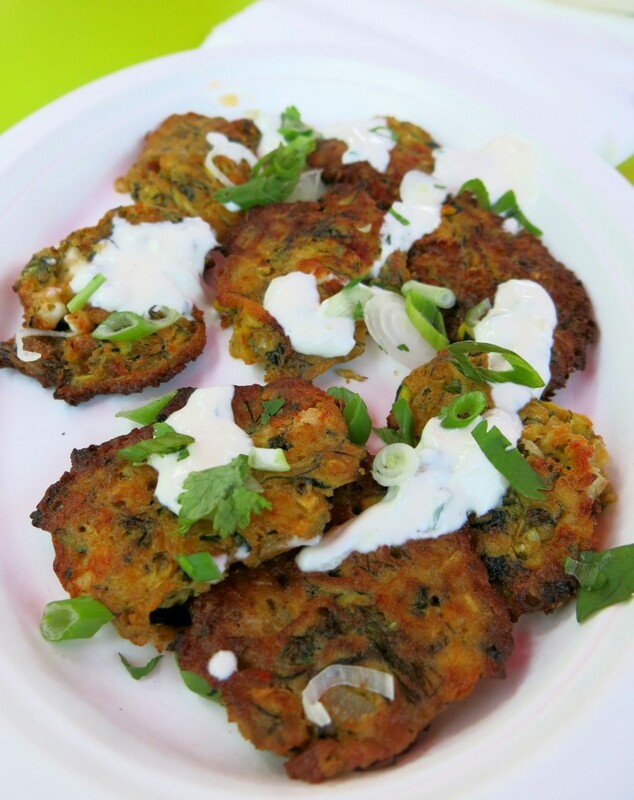 Next up were mini courgette and feta fritters with cumin and cayenne pepper, mint and dill. 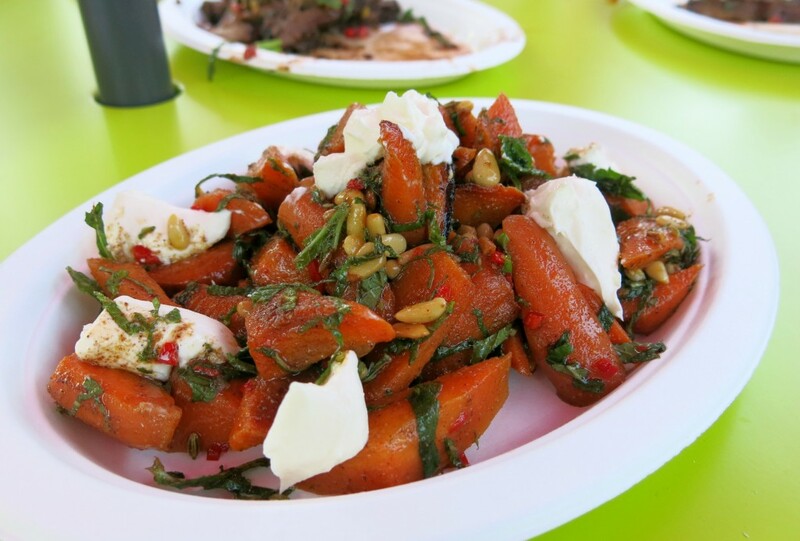 I had a very similar dish to this on my recent trip to Marrakech and want to recreate them at home because I have thoroughly enjoyed them both times – the feta goes gooey and the mint keeps is fresh. Not the easiest things to eat but very tasty. These were served with crispy spiced squid and a garlic yogurt dressing. The next cocktail was my favourite of the evening, The Riviera Ginger Mule was made up of Vodka, Ginger, Lemon and Demerara Sugar. I think it’s because I’m really having a ginger moment, just loving it in drinks! 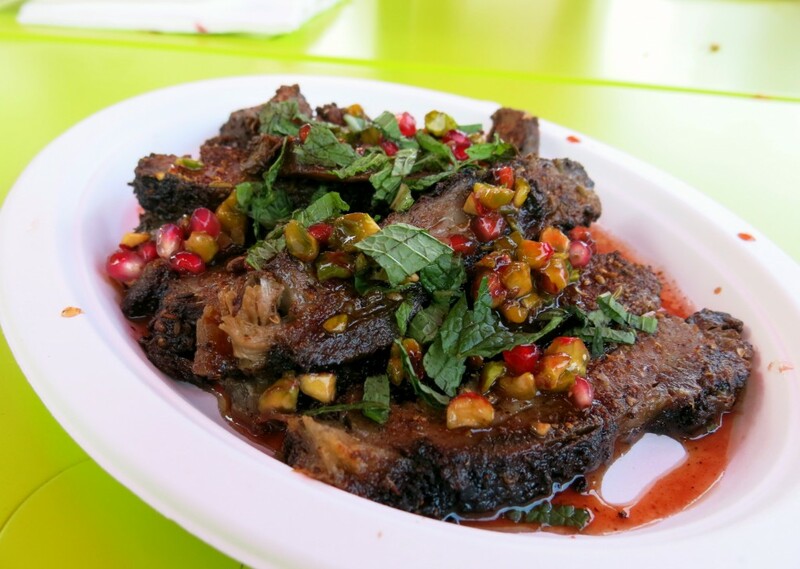 Then came the star of the evening – slow roasted lamb shoulder with shawarma spices, with pomegranate and pistachio. Wow, did I enjoy this dish. They blend 20 spices for this lamb and the depth of flavour is incredible. The lamb manages to be moist, with crispy edges whilst falling apart when you pick it up with your fork. The pomegranate and mint keep it fresh and this is definitely my favourite dish of the night. I’ve already told the husband we are returning just to order a plate of this! Two fabulous salads were served with the lamb, again the flavours were wonderful. 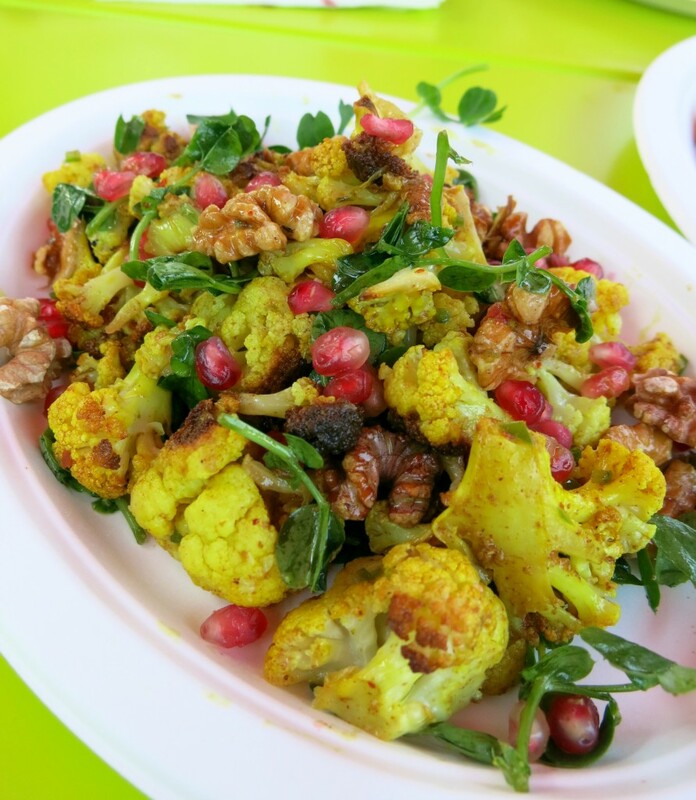 There was spiced cauliflower with pomegranate, walnut and watercress salad and a spiced carrot in a vinaigrette with pine nuts and salted yogurt. I even got to take some of the cauliflower home in a doggy bag for my lunch the next day! I enjoyed these so much that since the event I tried to recreate these two dishes to jazz up my sunday roast chicken. Recipes coming soon! 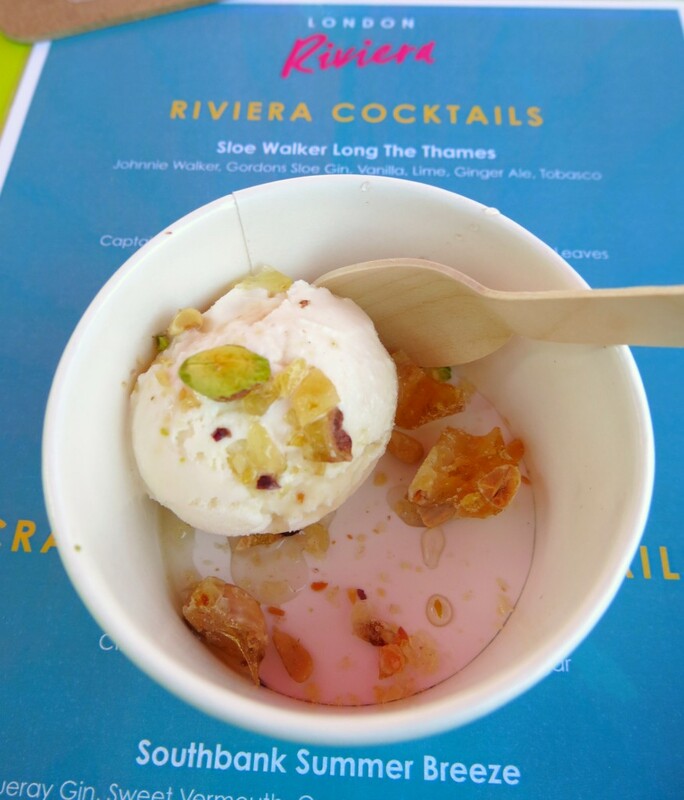 By this point I was pretty full, but there’s always room for dessert… we were served a scoop of the honeycomb ice cream served with the flavours of baklava (roast nut brittle and burnt honey caramel). A lovely way to end a great evening. 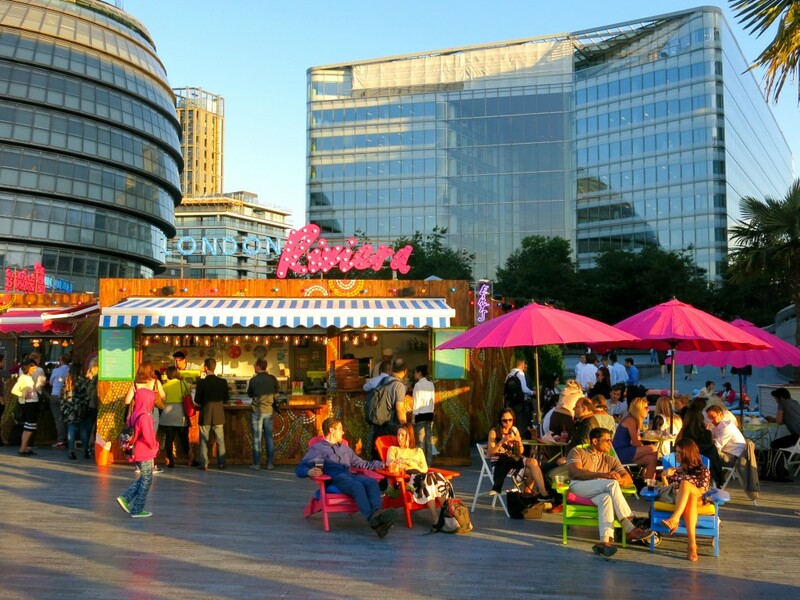 This is a lovely spot down on the Thames to enjoy a summers evening – the pop-up is here for the duration of the summer so I strongly recommend you check it out. I had a great evening seeing some familiar faces and meeting some new bloggers too. Just look at the views. Thank you Ceru and Tom for hosting us and sharing the flavours of the Levant.